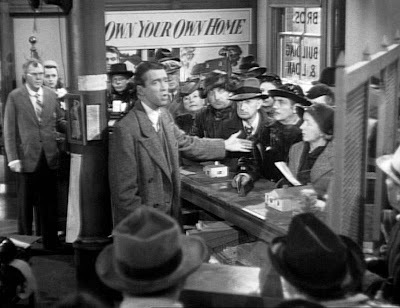 Even those who are not particularly astute observers of the current battle for casino licenses have recognized that the struggle has devolved into one in which some of those in the running have resorted to pointing out how desperate they are. There are two regions which have Path through History plans listed on the ten Regional Economic Development Councils (REDEC) for New York State. 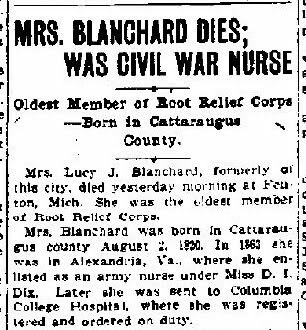 In 1911, Civil War nurse Lucy Blanchard died in Fenton, Michigan. Her remains were brought back to Syracuse and she was buried in Oakwood Cemetery. For ninety-nine years, her grave was unmarked and the memory of her service faded. Thanks to the efforts of Michigan historian Len Thomas, Lucy’s life story has been researched in depth. With the help of the Daughters of Union Veterans of the Civil War, a government headstone has been placed on Lucy’s grave. To mark this December month of Cattaraugus County’s Bicentennial, the website of the New York Correction History Society (NYCHS) is unveiling a multi-page timeline presentation on the executions of 12 men convicted of murder in that “Enchanted Mountains County” of southwestern New York. Besides detailing the 12 murder cases individually, the timeline presentation also serves as a vehicle to explore interesting historical developments that provide wider context to the cases. These include looking at the histories of the county jails, sheriffs, and courts as well as at execution methods and at other Cattaraugus-related murder case convictions not resulting in executions. The timing of the presentation’s unveiling is appropriate because the first and the last Cattaraugus murders resulting in executions took place during Decembers 70 years apart. 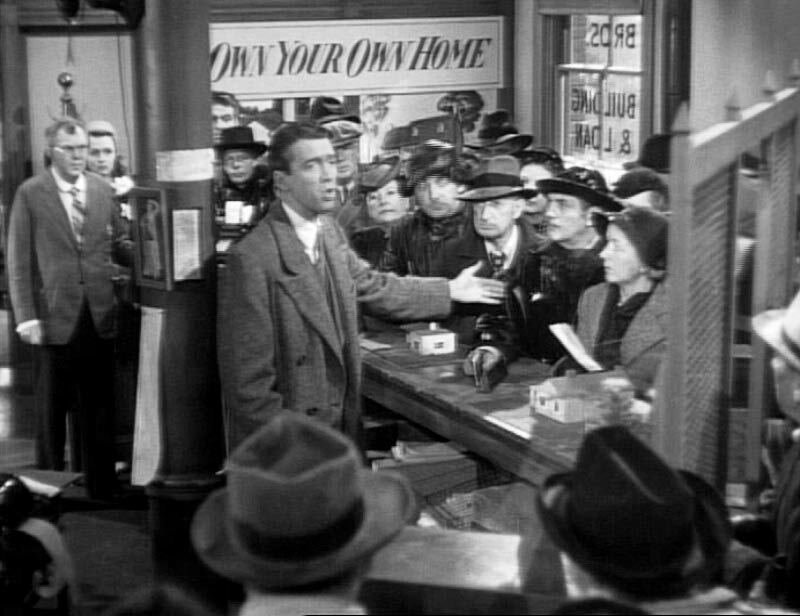 The first happened Dec. 18, 1869; the last, Dec 9, 1939. 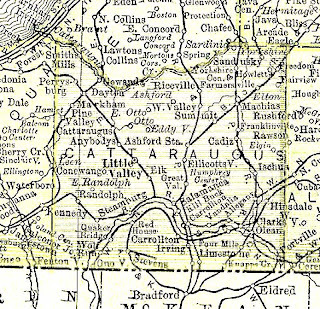 Of the 12 men executed, two were hanged at the Little Valley Jail (both involved December murders, 14 years apart), four were electrocuted at Auburn Prison, and six were electrocuted at Sing Sing. Next to each date on the timeline appears a very brief entry outlining the case. Under each entry appears a link line “For more details.” Clicking that link line accesses a page providing an in-depth account of the case. In addition to the case narration and explorations of historical contexts, the individual case pages include notes discussing source materials used. The source notes sections are provided so that others interested in pursuing further research can have starting points for beginning their quests. The NYCHS project was undertaken with the encouragement, support and assistance of Cattaraugus County administrator Jack Searles and County Historian Sharon Fellows. Thomas McCarthy is the NY Correction History Society’s general secretary and webmaster.